Meet Dr. James R. Zettler Jr.
Halloween is fast approaching, and James R. Zettler Jr., James J. Zettler and Steven M. Zettler wanted to be sure to wish our patients a happy day, no matter how you might celebrate this holiday. The Halloween that is familiar to most people today bears little resemblance to the original Halloween; back in the "old days" it wasn't even called Halloween! Remind kids to limit their candy and brush after eating it! 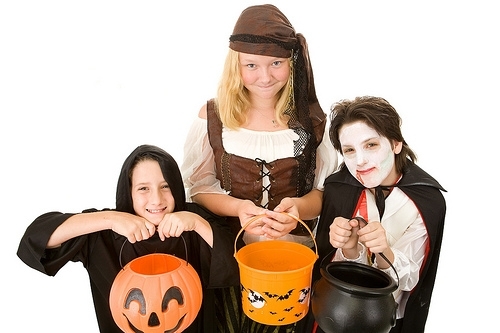 Sweets can cause major tooth decay and aggrivate gum disease, so to avoid extra visits to our Hamilton or West Chester, OH office, make your Halloween a safe one! I was a little apprehensive about getting braces at 58, but everyone at Zettler Orthodontics has been very friendly, caring, and professional. I appreciate all the time they take with me and their patience in addressing my many questions. I look forward to my visits, knowing that I am in good hands! I would highly recommend Zettler Orthodontics to anyone of any age who is looking for skilled orthodontic care in a friendly environment. I went to Dr. Zettler for my own braces many years ago. When it was time for our children to get braces we came back. The service is still the same friendly, helpful, and willing to work with you service it was before. I like that the staff always have a smile for their clients. My son, Andy has been a patient of Dr. Zettler for a little over a year. We love going to his office! He has taken great care of my family, including my niece as well. His staff is always friendly and helpful. I know he has a large group of patients from St Peter in Chains School that are also very pleased with his service and their results.